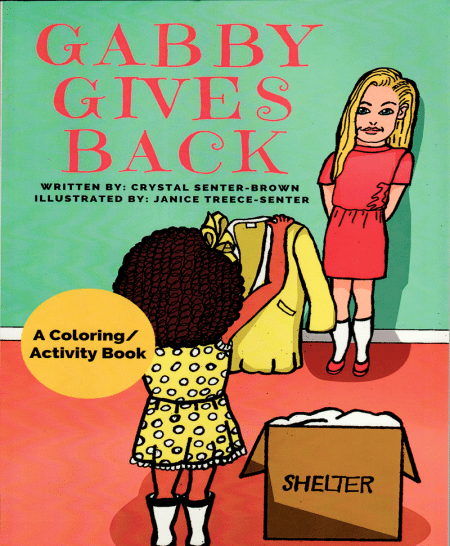 The book is titled Gabby Gives Back, and that certainly doesn’t leave much room for imagination when it comes to the plotline. Yes, Gabby is a young girl who discovers the many benefits of philanthropy. In case you haven’t read it — and since this is a business publication and the tome in question is a children’s book, that’s probably the case — ‘Gabby’ visits a nonprofit called Maggie’s Place with her father and greets people (she’s too young to help directly) as he serves up hot meals. As they’re walking home, Gabby says she wants to find to her own way to give back, and does, bringing some old coats to Maggie’s Place for distribution to those less fortunate. She actually gets to meet a young girl in need and hand her a coat to try on. The coat fits, the book ends, and a series of activities like a giving-back-themed ‘trace a word’ begin on the next page. There. That’s the whole story in one paragraph. Well … not really. That’s a book report on Gabby Gives Back. The story is what happens when some area young people read it. Indeed, author Crystal Senter-Brown expected the book to move and motivate young audiences, but she didn’t expect several children to try to donate the only coat they owned as a result. That’s one example of how Senter-Brown has motivated individuals to step forward and step up, but there are many others. 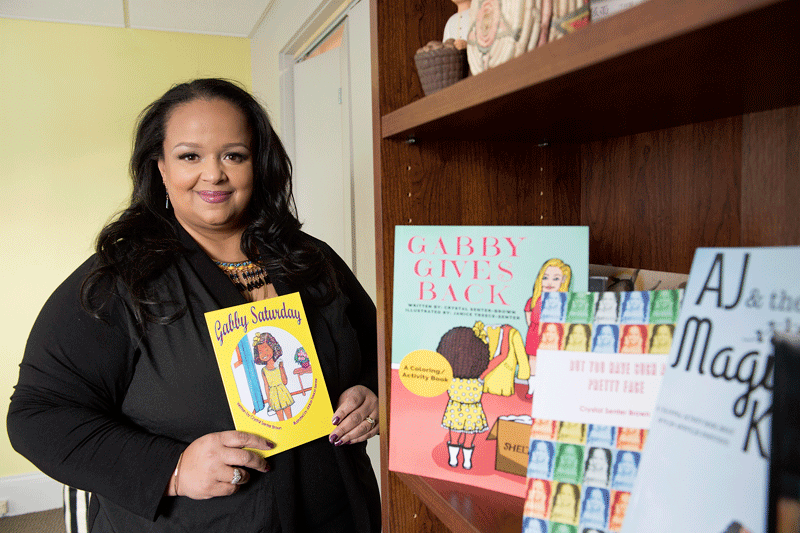 And Gabby Gives Back is just one part of a growing portfolio of children’s books and novels penned by Senter-Brown. Others include another chapter in Gabby’s life; another children’s book called AJ & the Magic Kite; a coloring/activity book about African-American inventions; a collection of poems she titled But You Have Such a Pretty Face, a reference to the line she said she heard so often in her youth and came to loathe; a novel called The Rhythm in Blue, which is being made into a movie, and its sequel, But Now I See. Each work is different in plot and tone, but there are similar underlying currents and motivations on the author’s part, and they are also prevalent in her teaching, work within the community, and motivational speeches — primarily to single mothers and those who have children at a young age, about not letting go of their dreams. Overall, Senter-Brown says she wants to enlighten and empower others, especially girls and women, and give them … well, more of whatever it is they need to stare down life’s challenges. This is a six-week course — part of the university’s Women as Empowered Leaders and Learners (WELL) program — during which students, both traditional and non-traditional, identify both a need a community and a method for meeting that need. One of the motivations for creating the class is to generate that interest, she went on, adding that, while some students enter the class unconvinced of their need to become involved in the community, few if any of them leave it feeling that same way. Through her children’s books, teaching, work within the community, and ability to inspire young people to give up the coats on their backs, she has shown that one person can truly make a difference in the lives of others. Getting back to AJ and that magic kite, the title character is a young boy of color who is teased at school and told by those who don’t look like him that African-Americans are “useless,” the type of discourse that makes going to school far less fun than it should be. Later, at home, he falls asleep, to be awakened by a boy with a kite that takes the two aloft and to places like an intersection where an accident has just taken place — because there is no traffic light. And there’s no traffic light because the three-light traffic signal was invented in 1920 by African-American Garret Morgan, and the point of this exercise — in It’s a Wonderful Life fashion — is to use the kite to show what the world would be like without such people of color. There are other stops at a tall building — James Cooper invented an elevator-safety device — and back at AJ’s home, where he learned that O. Dorsey invented the doorknob, among others. At the end, AJ goes back to school. Those who don’t look like him offer the same taunts, only this time they bounce off; AJ is proud of who he is and comfortable, if you will, in his own skin. Such empowerment is, as mentioned earlier, at the heart of all of Senter-Brown’s work, which in many ways has been inspired by personal experiences and what she saw and felt while growing up in Morristown, Tenn. and later, after relocating to Western Mass. with her mother to be near family. (Her mother later moved back to Tennessee). She said she started writing poetry when she was only 5, but didn’t really share anything she would write with others — including a host of love poems and short stories — until she was in her 20s. She took a creative-writing class at Springfield Technical Community College, and developed a passion for poetry and other forms of writing, all of which fall in the category of storytelling. Her first published work was a collection of her poems she titled Double Dutch, with her favorite being one she called “Peanut Butter & Jelly,” a message to her mother, who helped her raise the son she had when she was 18 years old. Years later, she penned another collection of poems called But You Have Such a Pretty Face, a phrase which, as noted, she came to hear — and resent — as a child growing up. 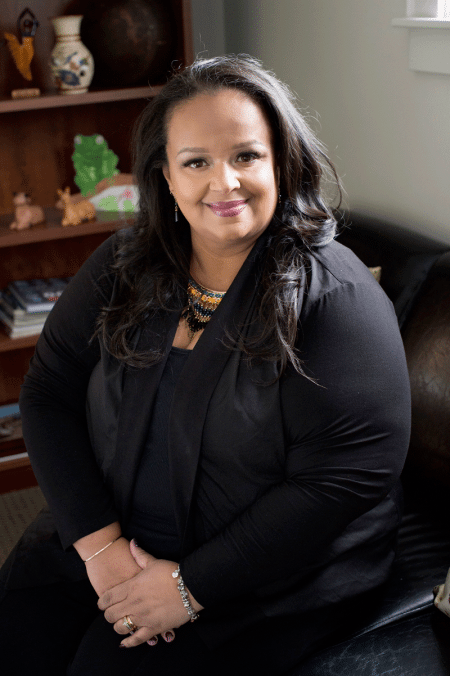 “I’ve been told that my whole life — that I had a pretty face and if I lost weight I’d be even prettier,” she told BusinessWest, adding that she fully understands that she’s far from alone when it comes to women who have heard that phrase or words to that effect. Her poems, and all her work, for that matter, are intended to empower people, but especially women and girls and African-Americans, to move beyond what others say or think about them and not let phrases like ‘But you have such a pretty face’ affect their psyche, their goals, or their lives. No one can be like you! Until very recently, writing was something that Senter-Brown did in what amounted to her spare time, and in many ways, those efforts dovetailed nicely with what she did for a living, which was actually volunteer work that morphed into a job and a career. One of her family members was diagnosed with leukemia at a young age, and thus she became familiar with many of the services provided by the American Cancer Society, such as providing rides to treatment sessions for those who needed them. Inspired, she became a volunteer herself, and this work eventually led to her working for the nonprofit at its Holyoke office as a community market manager. In that role, she ran a host of non-medical patient programs, such as those rides to appointments. Following a restructuring, her job was eliminated last summer, leaving her to explore a number of career options moving forward — but also with more time to write, speak, and continue a program that puts backpacks laden with school supplies in the hands of needy children and single mothers going back to school. And, in general, to continue her efforts to empower women and girls, aspects of her life’s work that have developed and evolved over the past several years. Such as her children’s book-writing exploits. Working in conjunction with her mother — also her illustrator and collaborator on everything from the clothes worn by her characters to specific storylines — she started with Gabby Saturday. As with the subsequent book chronicling the life and times of her chief protagonist, for lack of a better phrase, the chosen name does a good job giving the plot away. While explaining what Gabby does with the Saturday in question, Senter-Brown drops in messages about the environment — she and her mother take the bus instead of their car to reduce smog in their city — as well as the importance of culture and learning (they visit a museum, and it’s noted that her mother takes her to poetry recitals regularly), spending time as a family, and helping out at home (Gabby earns a dollar by sweeping the floors). The author joked that, while she hopes all those messages are received, what she hears most often from young people is that the title character gets only a dollar for performing her chores, and that doesn’t go very far. Kidding aside, she believes her messages are coming across, especially the ones about self-worth. “With everything I write, I want people to walk away feeling better than they did before they started reading, and I want them to be inspired, especially children, because they’re our key to having a better future. As for her own story, career-wise and otherwise, Senter-Brown hasn’t outlined that, either. Whatever the eventual path is, she said she will continue to seek out ways to enlighten and empower others. That includes more books (Gabby appears destined to return) and school appearances, where she visits classrooms, reads one of her books, and imparts practical lessons on giving back and other topics. Often, she’ll bring a large box full of items that could be donated to individuals in need and ask students to identify those that are appropriate and those that are not, such as perishable foods and a shirt with holes in it. She’ll also continue teaching, although she said empowerment and a desire to give back to the community are not really things you can teach. It’s something students must gain themselves, she went on, adding that she is as much as mentor and motivator as she is an actual teacher. And she has helped motivate her charges to find some intriguing ways to give back. There was the student who developed care packs for the mothers who deliver premature babies and must spend long hours and days at the neonatal intensive care unit. Another put together a DVD collection for those being treated at Baystate Children’s Hospital, and others have developed new initiatives for animals and young people. In addition to her teaching, she also does a lot of what could be called motivational speaking. 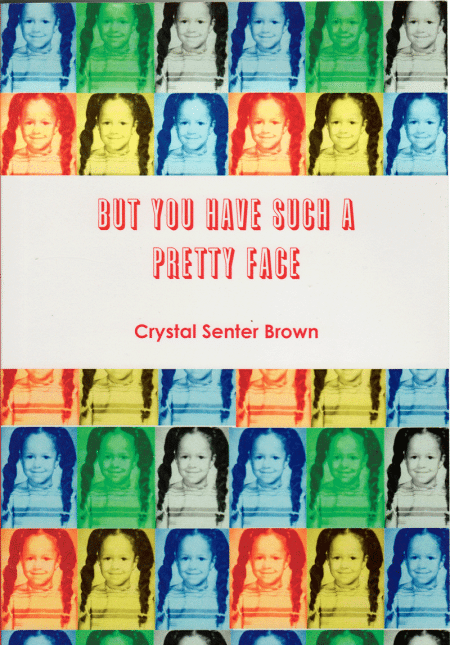 Many of her talks are in front of small audiences of single mothers or women who, like Senter-Brown herself, had children at a very young age and, as a result, had to confront feelings that they had to abandon some of the hopes and goals for their own lives. Senter-Bown says she gives several of these talks a year, often at shelters for teen mothers, the homeless, or those who have been abused. She said her basic mission is to help such individuals with the immensely difficult task of seeing past today. If you want more, you’ll need to buy the book; it’s on Amazon ($15), which describes it as “story about failure, redemption, forgiveness, and, above all, love”). Or wait for the movie. As for Senter-Brown, her story is still being written. As she noted, she’s not sure what the next chapter will be. She does know, and by now this isn’t exactly a spoiler alert, that she will continue to find ways to give back, empower others, and inspire those who read or hear her words to do the same. In other words (and those are the tools of her trade), she will go on being a Difference Maker.